Up in the Alt Penedès, watched over by the impressive peak of Montserrat, Mas Codina is a small organic family winery, which maintains very much of a local and traditional feel, growing 40 hectares of red and white grapes. A lazy Saturday morning provided the perfect excuse to pay a little visit to learn about their personal process and sample some of the fruits of their labours. The house was constructed back in 1681, with grape cultivation beginning some time after that (records are a little patchy so far back in the mists of time!). When wine production first began, it was originally stored in barrels and sold to other wineries in that format, along with harvested grapes ready for processing, but in 1985 the family began bottling their own wine. The business has grown from there, still today growing all of their own vines, and selling some of their grapes on to other wine producers. Many of their vines are still in the traditional style of freestanding bushes, making the most of the available space, slowly being replaced by the system of row support wires now more widely seen around the world. The different varieties are planted in differing directions to make the most of the sunlight. While around 10% of the crop is harvested by machine in the cooler night-times in August, the rest is all lovingly harvested by hand slightly later in the year as the other varieties ripen, and more helping hands are available assist with the picking. Seeking to be kinder to the environment, and also following the increasingly popular trend, Mas Codina was certified as an organic producer in 2017, after the required three years’ conversion period. Today, they use no chemicals on their grapes, only certain minerals such as copper and sulphur to help in natural prevention of crop diseases. In place of harmful insecticides, natural hormones are used to discourage moths from destroying the grapes. Old, gnarly olive trees provide a rustic border to the vineyards, and are also used for the production of organic olive oil. The cellar keeps the bottles cool to allow the Cavas to age and create their complexity, with climate control if needed to maintain exactly the right temperature during the hot summers’ days. The pressing and storage machines are glistening and modern, to maximise the efficiency of production, but as the winery’s unwritten motto says, the quality of the product is down to the grapes and the traditional know how that goes into their growing and cultivation through the year. Good grapes mean a good final product; the machines simply facilitate the process. The grapes are separated from the twigs, cooled to around 15° to protect the aroma and avoid oxidation, and pressed. Like many grape growers, Mas Codina keep only the finest grapes and the first pressing for themselves, selling off any excess and further pressings to other wineries. 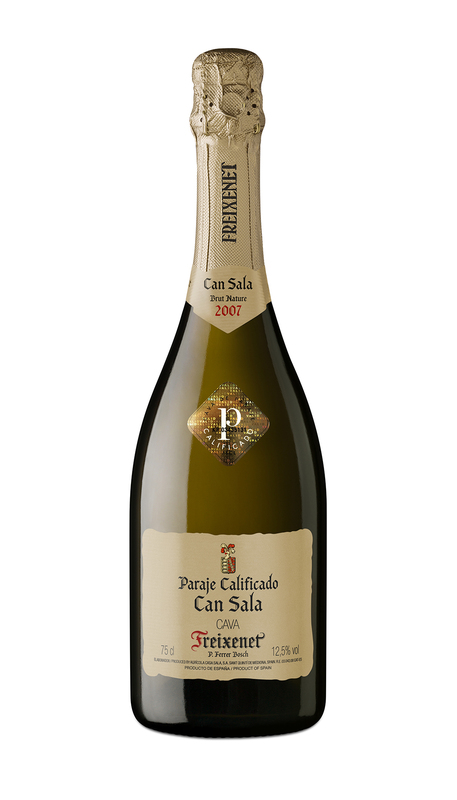 Of the wine produced, 70% is cava, and the rest is still wine, both red and white. Roughly 65% is exported, 25% being consumed in the local Catalan region, and 10% being consumed elsewhere in Spain – it seems the rest of Spain has not yet discovered the deliciousness within. As any good winery visit should, ours ended with a tasting. Seated around a small round table, the anticipation was palpable – having featured several times previously in the annual 50 Great Cavas competition, it was little surprise that the Cava we tried was delicious, and it was just a shame there was not the chance to try more – rumour has it that the Mas Codina Brut Rosé is especially tasty! 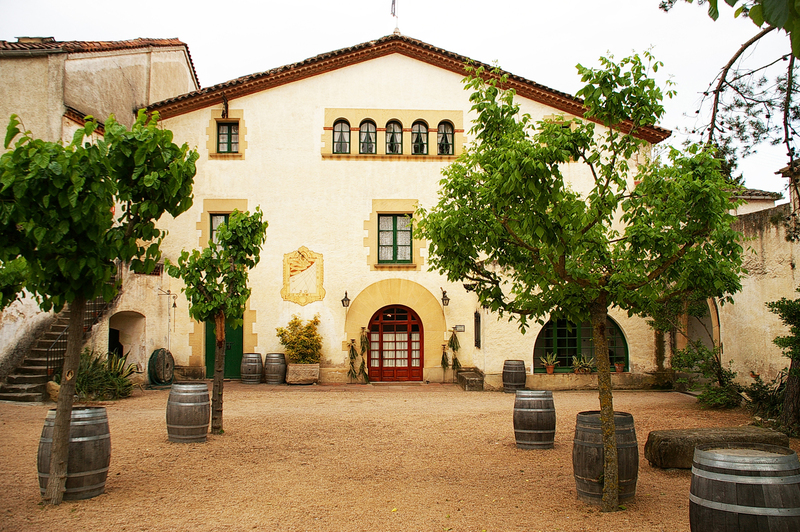 Sitting in a privileged location a stone’s throw from Igualada (the capital of the Catalonian province of Anoia), Fermí Bohigas winery, nestled amongst woods and vineyards, carries an illustrious wine making heritage stretching back nearly 800 years into the 21st century. Walking through the impressive gates to Caves Bohigas, it’s as if you’re entering an old fortress. 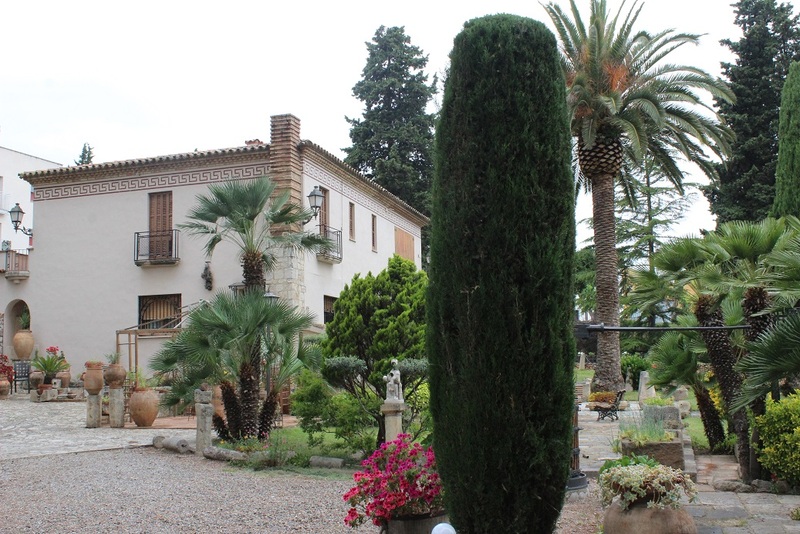 But get inside and it also feels like a traditional Spanish winery should feel; walking in through the arched entrance in a rustic whitewashed wall, the gravel crunching under your feet, you have the sensation of stepping back through time and coming to the right place. The courtyard that greets you is straight out of the most evocative romantic novel, the blooming rose bushes gently shaded by plane trees, wooden barrels and old wine making artefacts to remind you why you’re here, with old stone steps and little wooden doors inviting you to explore further. 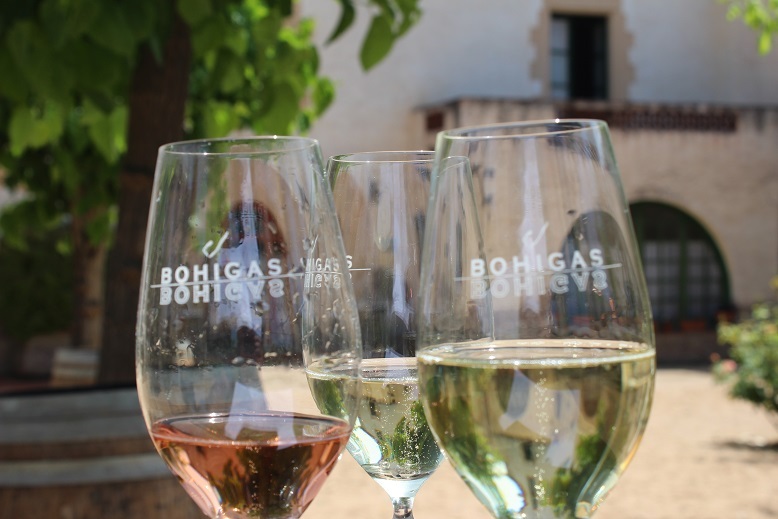 And Bohigas can back it up with a longer and more detailed history than some countries – the winery is independent, family-owned, and they can trace their wine-making routes all the way back to 1290. 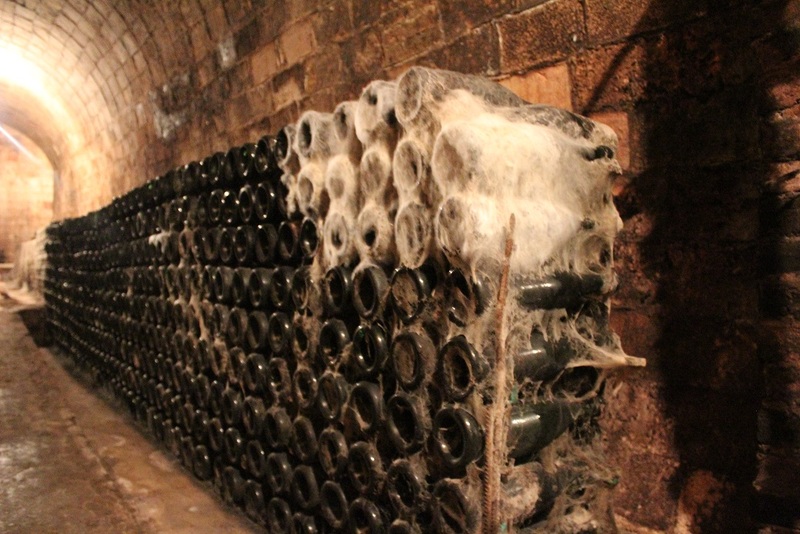 The cellar (or “Cava” in Catalan) was first dug out in the 1500s and refurbished in 1929, also the year Bohigas officially began producing the sparkling Cava, having previously focused on still wines. Despite having expanded and now producing more than 600,000 bottles a year of various types – both sparkling and still –to sell locally and around the world, their history clearly remains very dear to them, as you’re reminded by the little touches throughout – a traditional wooden press here, original storage racks there, the house filled with memories and fascinating knick-knacks amassed during the family’s eight-century story in this spot. Following the Cava-making process takes you through a barrage of contrasts, as Bohigas strive to achieve the fine balance between tradition and heritage, and modern and efficient practices. Climb the ancient stone steps that seem to lead into a tradition barn, and instead inside you’re greeted by sparklingly sterile modernity in the shape of giant stainless tanks; due to their size and to preserve the structure of the historical building in which they reside, the entire roof was removed, the tanks lowered in with a crane, and the roof rebuilt over them! These tanks are where the various grape varieties undergo their individual initial fermentation, and where the different varieties are then mixed in just the right ratios to create the base cava. From there, you descend into the dimly-lit cellar, immediately aware of the pleasant cool inside – the depth below the ground causes it to maintain a constant temperature year-round, perfect for the second fermentation and aging the various cavas they produce. 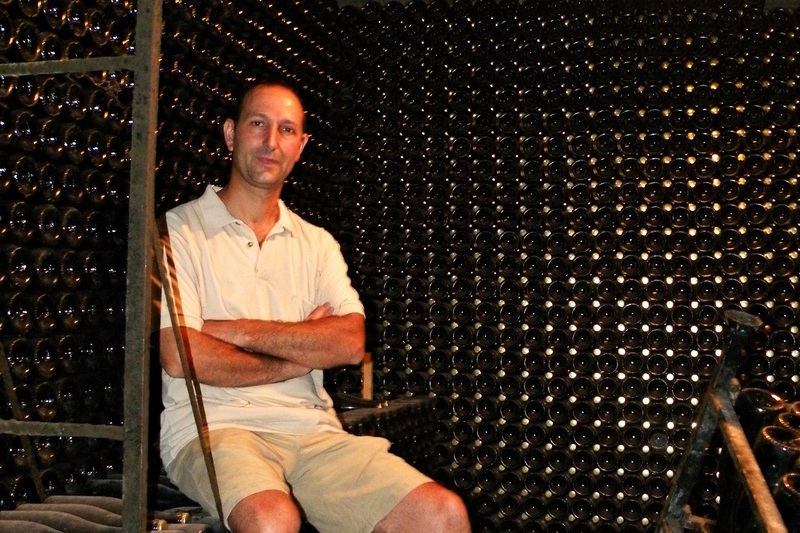 Large, featureless, jail-like rooms inside the cellar reveal themselves to be historical wine fermentation tanks – an entry shoot in the ceiling allowed the grapes to be dropped in, and the weight of the fruit itself caused enough pressure to extract the juice, which then naturally fermented, before being removed through a pipe at the bottom, bottled and taken to market. Escaping the damp chill of the cellar and emerging like hibernating beasts in the spring to cross the picturesque yard and enter the processing plant, you immediately return to the 21st century. Here, state of the art machines are the kings, bringing the required accuracy to finesse and finish the different types of wine ready for local or international delivery – about 90% of Bohigas’ annual production now being exported and enjoyed worldwide. Tasting the Cavas – with a couple of slices of pan con tomate, naturally, since we’re in Cataluña – only reinforces the sense of pride in the tradition and quality produced at Bohigas – something that is backed up by their repeated high-scoring presence in the annual 50 Great Cavas contest, with more than one of their cavas securing coveted Highly Recommended or Outstanding results from the expert wine-tasting jury. If it’s good enough for them, it’s most certainly good enough for me! 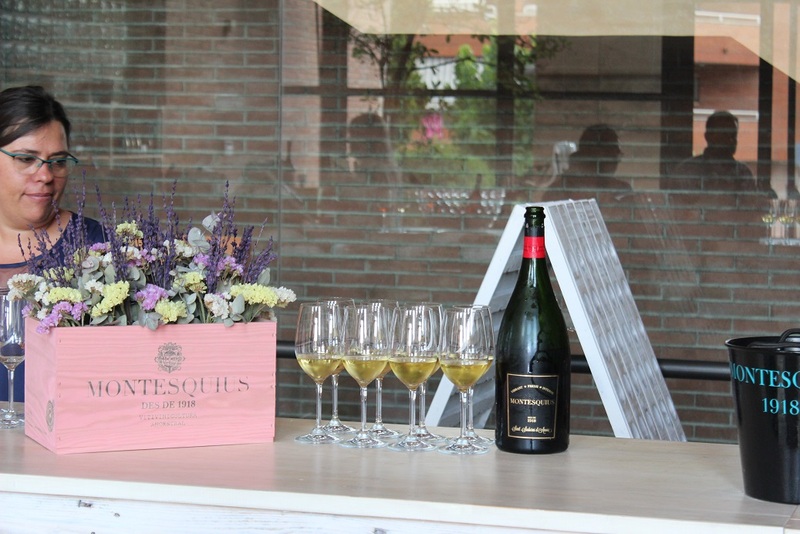 Founded in 1910, this small winery is now run by the founder’s grand daughter, Montse Rexach Peixó, following faithfully in the footsteps of the previous generations to produce up to 150,000 bottles of Cava a year befitting the family name. Even in the pouring rain, the small, colourful Mediterranean terrace in front of the winery still brightens the day. Upon stepping into the small warehouse, you find yourself surrounded by the giant stainless tanks where the grapes are initially fermented and then mixed. Having been enthusiastically informed about the winery’s rich history, we descended 14m and 100 years back in time to the caves beneath, beginning in the youngest section, and, like some wine-loving Indiana Jones, working our way back to the darkest, earliest parts. The caves were a real labour of love: in 1910, exploring the best way to produce and store wine, excavation began and a tunnel was created 7m below ground. Dug out by hand, it was a laborious process, but they quickly decided that the temperature was still too much of a victim to the whims of the climate outside, and so the decision was made to continue deeper. Thus, over the next twenty years,the tunnel network that remains in use today, situated 14m below the surface, came into existence. Stretching to well over 1000m in length, it’s a true feat of engineering, given that the founder had no architectural knowledge, and the volta catalana (Catalan arch) construction they employed is still standing strong today, even with houses having been built above some sections. One of the most fascinating quirks is that those digging away 14m down had very little idea of where they actually were in relation to what lay above. Therefore, periodically, they would come up to the surface to investigate, and they worked to buy the land above them as they went, hence the current location of the winery itself, and the vineyard. The tunnel’s distance beneath the surface means a steady 14.5° day and night, summer and winter – especially important for Rexach Baqués, given that they significantly age all of their Cavas, with their most exclusive line maturing for seven years, this consistency of darkness and temperature allows the Cava’s colour and taste to be carefully preserved. 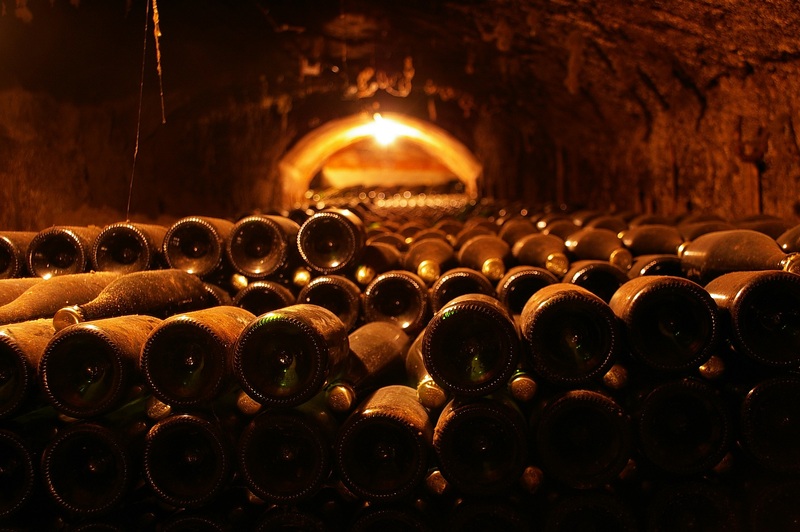 Unlike at many modern Cava producers, the riddling process is still carried out by hand down in these caves, the bottles being expertly turned and stored in traditional wooden riddling racks. In their day, the caves played also another important role – during the Spanish civil war, they were used as a refuge from the fighting above, and in fact some of the previous generation of the family were even born right there below ground. There might not have been much to eat, but at least they never went short of a good drink! 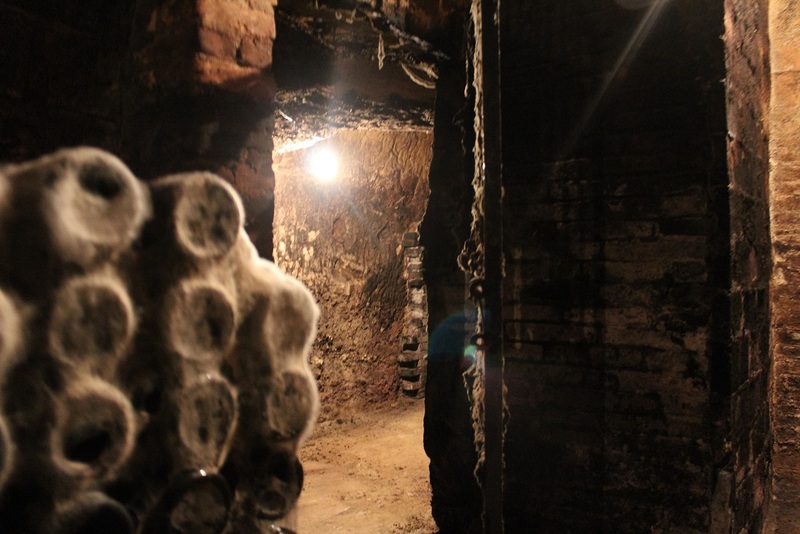 Arriving in the earliest tunnels, you come upon several racks of bottles barely visible beneath deep layers of spiders’ webs and dust, and discover that many have been here for upwards of a hundred years. Due to the temperature varying too much in this shallower cave, it’s not actively used today, so instead they keep some original bottles (still full) as a nod to their history and the labour of 100 years prior. In some of the corners of the cellar you can also see bottles stacked upside-down, a practice borne out of necessity, as the dampness of the caves caused many of the wooden riddling racks to disintegrate, the corner of the cellar providing an alternative vertical storage place. 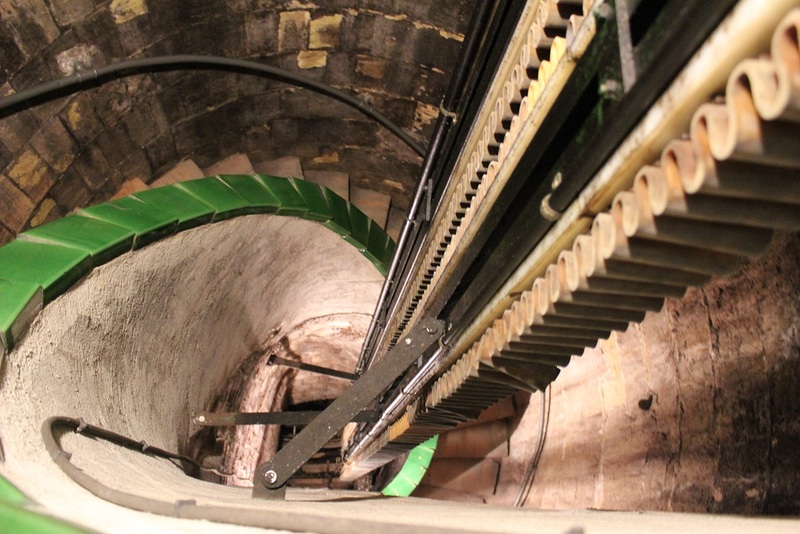 From there, it was up the stairs and back to the future, and the cutting-edge machines used for disgorgement, dosage and cleaning and labelling the bottles ready for public sale. 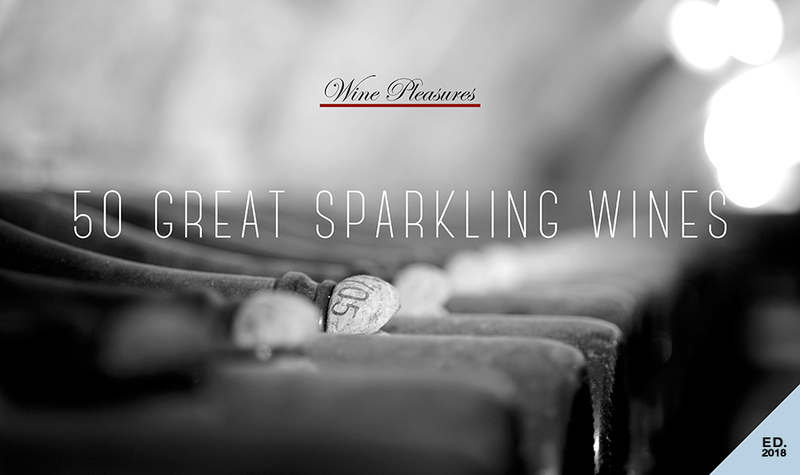 It is here where all the final touches are completed, balancing the levels, adjusting the sugars, adding a dash of Pinot Noir to their most exclusive bottles for extra structure and balance, to ensure all the Cava produced is to their exacting standards. Thus the greatest treat was reserved for last, in a room full of intriguing pieces from the family’s history: the tasting. Rexach Baqués produce just a few different types of Cava each year, and generally in restricted quantities just as demand dictates, so nothing is left lying around to lose its quality – everything completes its aging process and is then rapidly distributed to keep it as fresh as possible. Under the understandably proud gaze of Montse, the sensations of the velvety bubbles, the delicate balance of sweetness and acidity, the note of chocolate here and buttery pastry there let you know you’re drinking pure gold – something crafted with love and a significant dose of family history and know-how. Notes of ripe stone fruit with pastry characters. Ripe apples on the palate. Well balanced and firm. Elegant bubble. Generous length on the finish. Expected to be one of the 50 Great Cavas for 2019! 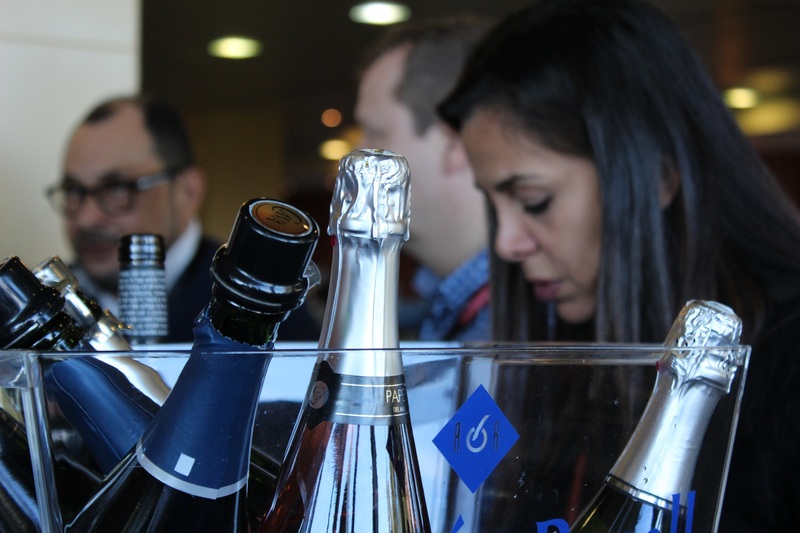 Organisers of two annual sparkling wine competitions, Wine Pleasures takes a selection of the 50 Great Sparkling Wines of the World and a sample of some of the 50 Great Cavas from Spain (the only competition exclusively for Cava) to the London trade and media at the Glass of Bubbly Champagne & Sparkling Wine Tasting & Summit London 30 April 2018. 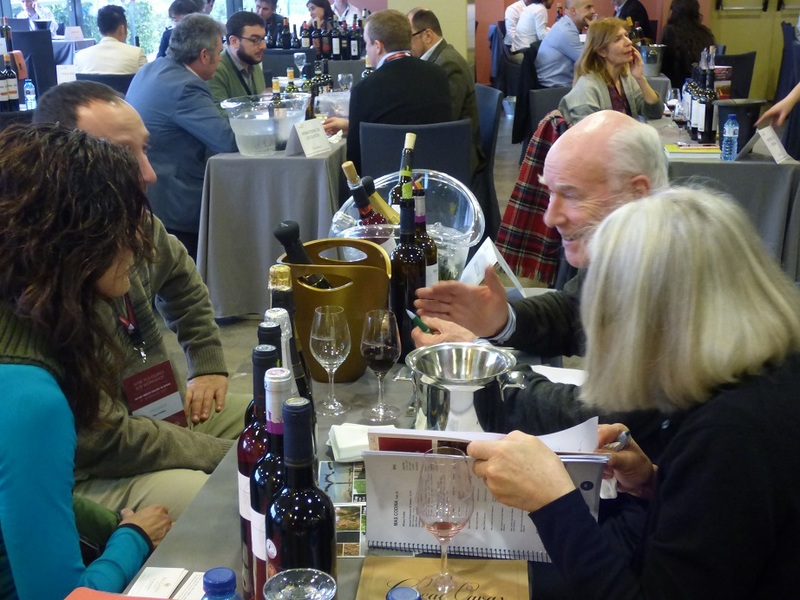 50 Great Cavas 2018 – The Competition has been running for 8 years and is valued by wine importers from around the world when it comes to discovering great Cavas for import. 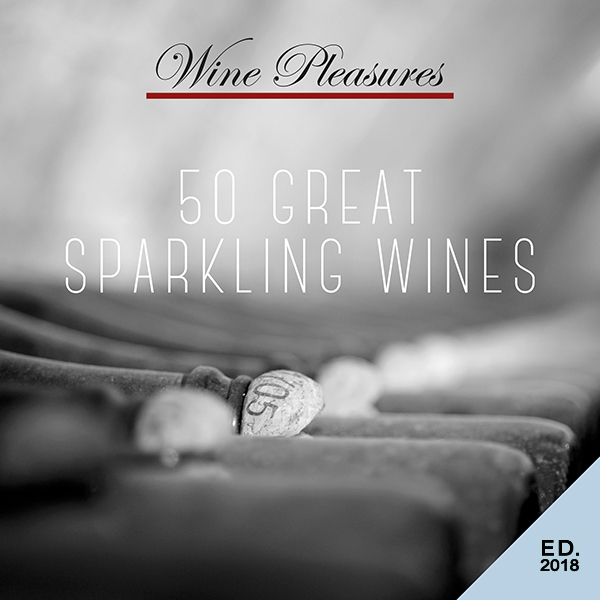 50 Great Sparkling Wines of the World 2018 – The Competition has been running for 5 years and is an off spring of the 50 Great Cava initiative accommodating all methods of production of sparkling wines from around the globe. 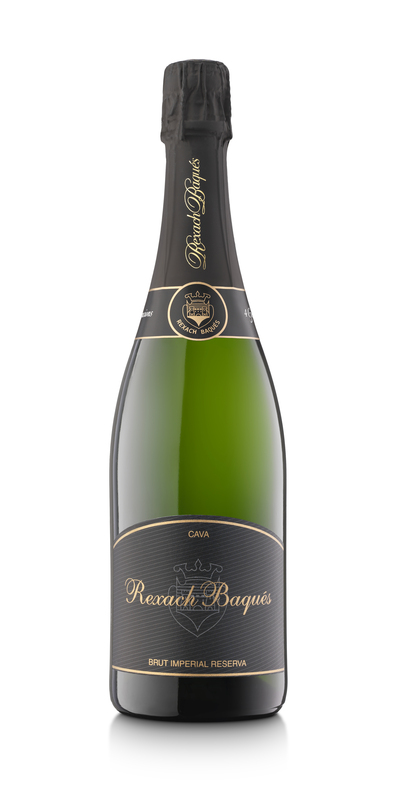 Cava Gran Fuchs de Vidal Reserva, Brut Nature 2014. Donna Giulia 2013 by Fattoria Le Terrazze, Italy. Traditional Method. Competition winner! New Year. New Wine Pleasures! 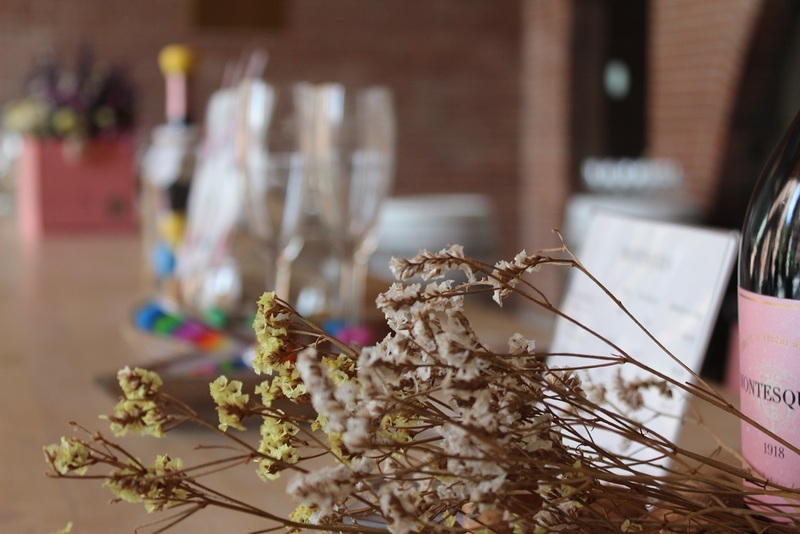 Wine Pleasures B2B Workshop Buyer meets Cellar in Italy – 22 – 24 October 2018. Enhance your time away and schedule a visit to Spain or Italy by registering today.